The 2017 WNBA Playoffs presented by Verizon continued on Sunday afternoon with a pair of single elimination second round games. And let me tell you, the two games were playoff basketball at its finest. The Phoenix Mercury and Washington Mystics, both lower seeds and underdogs in their games, both advanced to the semifinals with impressive comeback victories on Sunday afternoon. In the first game of the playoff doubleheader on ESPN2, the Connecticut Sun came out of the gates with nearly everything going their way. Connecticut led by as much as 17 points in the game, looking to be pulling away from Phoenix early. But the Mercury kept clawing their way back into the game, eventually taking a lead late in the third quarter. From that point on, they didn’t let up. The fifth-seeded Phoenix went on to beat fourth-seeded Connecticut 88-83 at Mohegan Sun Arena, ending Connecticut’s season. The Mercury outscored the Sun 45-33 in the second half. Brittney Griner had 26 points and nine rebounds and Diana Taurasi had 23 points and four assists to lead Phoenix. Monique Currie and Leilani Mitchell each had 12 points and Yvonne Turner added 11 points and four assists. Alyssa Thomas had 20 points and 10 rebounds and Jonquel Jones added 19 points and 15 rebounds for Connecticut. Jasmine Thomas had 15 points and four assists and Courtney Williams finished with 10 points and six rebounds. 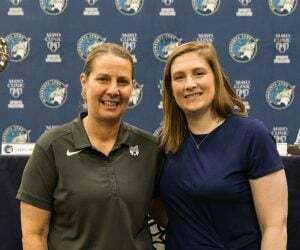 After edging past Dallas in the opening round of the playoffs, the sixth-seeded Washington Mystics needed someone to step up to help with the tough task of taking down the third-seeded New York Liberty on their home floor. Well, Kristi Toliver accepted that challenge for Washington. Toliver went off for 32 points, including a WNBA playoff record nine three-pointers, to lift Washington to an 82-68 upset win over New York. Much like the first game between Phoenix and Connecticut, the top seed entered the game firing on all cylinders. New York held a 21-10 advantage after the first quarter and led by as much as 14 points in the game. But Washington, led by Toliver’s historic performance, went on to outscore New York 72-47 in the final three quarters to come away with the win. 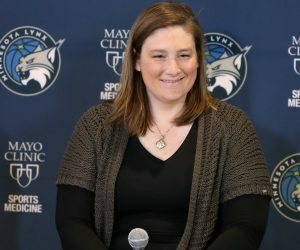 Along with Toliver, Elena Delle Donne had 18 points and 10 rebounds and Krystal Thomas finished with 11 points and six rebounds for the Mystics. For the Liberty, Tina Charles had 18 points and six rebounds and Bria Hartley added 15 points and five assists. Epiphanny Prince added 12 points and five rebounds and Sugar Rodgers finished with eight points. 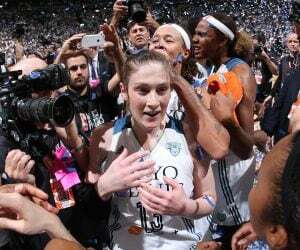 Following Sunday’s game, we are now down to the final four teams of the WNBA Playoffs. No. 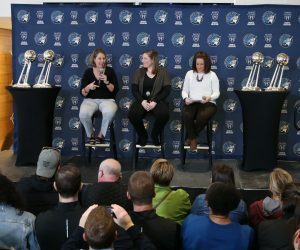 6 Washington is the lowest remaining seed in the playoffs, which means they will take on the top-seeded Minnesota Lynx in the best-of-five semifinals round. Game 1 will begin at 7 p.m. (CT) Tuesday at Williams Arena. The game will be aired on ESPN2, 106.1 BOB FM and TuneIn Radio. 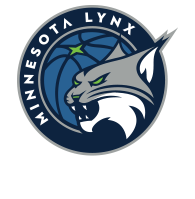 The Lynx hold a 3-0 season series advantage over the Mystics this season. Tuesday’s game will be the first-ever postseason game between the two teams. No. 5 Phoenix will face No. 2 Los Angeles Sparks on the other half of the playoff bracket. The Sparks hold a 3-0 season series advantage over the Mercury this season. The Los Angeles and Phoenix game will begin at 9 p.m. (CT) on ESPN2.